One gay author's journey reading the Bible for the first time. Before I read the Bible, I knew that Jesus had a family, including siblings. I think I knew that a few of these siblings were involved in his ministry; the extent to which was unclear, however. Reading the New Testament cleared up some of this. Yet I didn’t realize that his brother James was all that important—certainly not on the level of Paul or Peter. After all, he only gets one sliver of a book to himself. It never occurred to me that this was a problem. I assumed that the Bible included what it includes because the most historically important people were given the bulk of the voice on the page. He states that those who judge actually speak against God’s law and in so doing, they judge the law (4:11). The line here suggests that God doesn’t need anyone’s help in this department, which is why James asks, “who are you to judge your neighbor”? Then James offers this nugget: “whoever turns a sinner from the error of his way will save him from death and cover over a multitude of sins” (5:20). I appreciate the impulse—the idea seems rooted in caring about your peers—however, something important escapes James here: how can you point out a person’s faults (the error to which he refers) without judging? Here, I was concerned about those who choose to judge members of the LGBT community and do so with Biblical backing. I did, however, appreciate much of what I read in James, in part because it ran counter to a lot of what I was reading from Paul’s point of view. I was also confused as to why these two voices seemed so far apart. They seemed to be on two different figurative pages. In the final chapter of his book, Aslan takes a close look at James, and in so doing, he has much to say about how important James was to the early Church and why his role was diminished by history—specifically, those who shaped the New Testament. So who does Aslan say this man was? “James the Just” defended the poor, owned nothing, and attacked the rich. This highly respected man was acknowledged as the living link to Jesus, and he never wavered in his support of Jesus’ legacy. In addition, he “excoriated” Paul for heretical, inaccurate teachings (197), and he took it upon himself to correct the message inaccurately being disseminated by Paul. James’ Epistle, according to Aslan, is considered an edited and expanded version of one of his sermons delivered in Jerusalem (204), and he used it to correct all that Paul was saying. James was also considered the leader of the early Church, a position assigned by Jesus over 12 times in the Gospels, according to Aslan (203). In contrast, although Paul is considered more important, only one mention of his leadership appears. Aslan suggests that this sole mention, in Matthew, is controversial, as he and other scholars feel it was inserted on purpose in order to make Paul appear important, in part because the leadership at the time tried to marginalize him for spreading inaccurate information (203). Yet the New Testament privileges Paul, and by extension his take on Jesus’ ideas. This elevates Paul’s version of what Jesus said, and since he never met the man or heard him say anything, this creates an issue. Apparently, everything he knows about Jesus came to him through the spirit Jesus. So one wonders why Jesus would have changed his tune after his death and resurrection and not bothered to tell the people leading the movement he started. Turns out other texts paint a grim picture of Paul as well. Aslan includes the work Recognitions (from the middle of the second century), which, when discussing the confrontation between James and Paul in the Jewish Temple, refers to Paul not only as Saul (his name prior to his religious conversion) but also as “the enemy” of the Church (211). This work survives independent of political influence. In contrast, according to Aslan, James’ leadership role is cemented in Josephus’ Antiquities (from 94 c.e.). This work—which apparently contains the first recorded mention of Jesus—devotes much attention to James’ death, more attention than even to Jesus. From this, Aslan argues that James was Christianity’s leader, and therefore far more important than the New Testament portrays (199-200). But why was James shut out? Aslan’s reasoning is interesting: after the Jewish revolt against Rome and subsequent destruction of Jerusalem, the Imperial Christianity taking root abroad (specifically in Rome) needed to sever its ties to Jerusalem and the Israeli traditions that helped create it. Jewish ideas were tainted. Paul’s take on things, therefore, made more sense. These Christians needed a revised version of the belief set in order for it to be its own thing, i.e. non-Jewish. The more I read about James, the more I respect the man and his dedication to his purpose. He gained nothing from devoting his life to Jesus’ teachings: he was poor, and his beliefs eventually cost him his life. He also appeared to have not altered what Jesus taught just because he could. Knowing what we know now—or what people in the Church allow themselves to know—I wonder why his role has not been revisited and more of his work included in order to influence the Bible’s modern content. I may not agree with all of it, but at least Christianity in general and the Bible specifically would more accurately reflect the teachings of the man who fathered the faith: Jesus. I would like to think the LGBT community would come out ahead if this were the case. 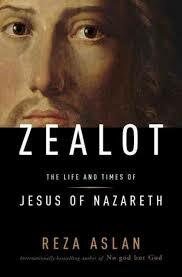 This entry was posted in Aslan's Zealot and tagged Aslan's Zealot: The Life and Times of Jesus of Nazareth, Bible and homosexuality, Brad Windhauser, James, Jesus, News Testament, Paul. Bookmark the permalink. The Bible Project Blog experience’s impact on my new novel The Intersection.